Elegiac Song, the first work Heinz Poll created in Northeast Ohio, was rooted in the choreographer’s memories of wartime Germany. The imagery of grieving women was inspired by Käthe Kollwitz’s drawings. The haunting music by Shostakovich evoked an aura of sorrow and fear. The movement vocabulary, indebted to Martha Graham, was tailored to the abilities of eight teenage girls who took Poll’s intensive ballet workshop at the University of Akron. The premiere performance in 1968 marked the debut of the Chamber Ballet, the jewel-like little company that was later renamed Ohio Ballet. The premiere was lighted by Thomas Skelton, the world-renowned lighting designer who served as the associate director until his death in 1994. During Poll’s 31-year tenure as Ohio Ballet’s founding artistic director, he choreographed more than 60 works for the company. His idiom was neoclassical, his style lyrical, his forte the plotless ballet. A chameleon and a sponge, he absorbed influences from a wide variety of sources, including choreographers Kurt Jooss and George Balanchine, and dancers Dore Hoyer and Fred Astaire. The element that consistently sparked Poll’s creative juices was music. His taste ranged from baroque concertos to commissioned scores. He set ballets to works by Bach, Handel, Debussy and Ravel. He choreographed pops pieces to recordings by Benny Goodman and David Sanborn. The music closest to his heart, however, was written by 19th-century European romanticists. Among his finest works were Summer Night (1974) to Chopin, Schubert Waltzes (1975) and Scenes from Childhood (1977) to Schumann. Besides creating the bulk of Ohio Ballet’s repertoire, Poll acquired choreographic gems from 20th-century neoclassical and modern dance masters. He also gave creative opportunities to company dancers, and he commissioned works from leading contemporary choreographers. Born in Oberhausen, Germany, in 1926, Poll was a champion ice skater before he became a dancer. His experience on the rinks imbued him with a love of speed that he expressed in his athletic baroque ballet, Cascade (1985). During World War II, he served in the German Navy and nearly lost his toes to frostbite. After the war, he studied dance at Jooss’s Folkwang School in Essen, began his professional career at the Municipal Theatre in Goettingen and became a principal dancer with the Berlin State Opera Ballet. There, he played the prince in the classics and developed an abiding distaste for 19th-century fairytale ballets. 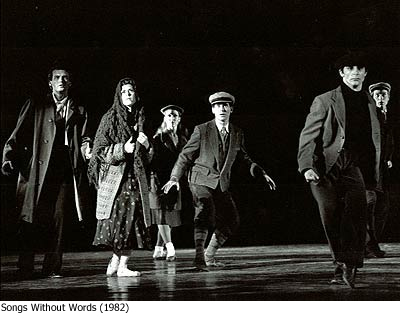 The only story ballets he choreographed for Ohio Ballet were Saastras (1973), The Match Girl (1983) and Jungle Book (1996). In 1951, Poll escaped the oppressive communist regime in East Germany and immigrated to South America, where he joined the National Ballet of Chile as a dancer, ballet master and teacher. The company’s tradition of bringing serious programs to indigenous people in remote mountain villages served as the model for Ohio Ballet’s Summer Festival of free outdoor performances. 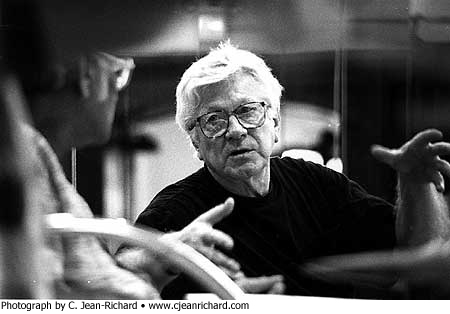 In 1962, Poll joined Ballet de Jeunesse Musicales de France as ballet master. Two years later, he came to the United States as a guest artist with the Chilean company. He performed in the American Dance Festival the following summer and stayed in New York to teach at the National Academy of Dance. In Akron, he developed Ohio Ballet into one of America’s most polished, respected and widely traveled chamber dance troupes. 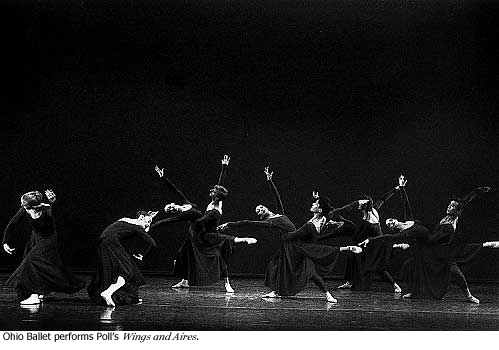 Poll was awarded the Association of Ohio Dance Companies Award in 1983, the Cleveland Arts Prize in 1995 and the Ohio Arts Council's Governor’s Award in 1999. After his retirement, he wrote his memoirs, traveled the world and bequeathed his best ballets to 10 former Ohio Ballet dancers.